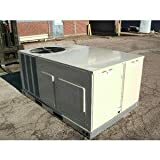 4 TON ROOFTOP GAS/ELECTRIC PACKAGE UNIT, VOLTS:460, HERTZ:60, PHASE:3, AIRFLOW:CONVERTIBLE, REFRIGERANT:R-410A, EFFICIENCY: 80%+, SEER:13, HEATING INPUT BTU:80,000, HEATING OUTPUT BTU: 64,800, SUPPLY DIMS:12-1/2"H X 19-1/2"W, RETURN DIMS:19-1/2"H X 12-1/2"W, DIMS:35"H X 78-1/4"W X 48"D, WEIGHT:615 LBS, MADE IN THE USA, IN MANUFACTURER PACKAGING. 2015 Federal Regional Standards for Heating and Cooling Products. 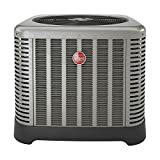 Due to new 2015 Department of Energy efficiency standards, 13 SEER split system air conditioners may only be installed in northern markets, and may not be installed in the following states: Oklahoma, Texas, Arkansas, Louisiana, Kentucky, Tennessee, Mississippi, Alabama, Georgia, Florida, South Carolina, North Carolina, Virginia, Maryland, District of Columbia, Hawaii, Delaware, California, Nevada, New Mexico and Arizona (collectively the "Restricted States"). By purchasing this product from Seller, you represent and warrant that this purchase is not being made for purposes of installation in a Restricted State, and that you will not install or cause this product to be installed in a restricted state. If any product you are purchasing is being shipped by us to a state where its' installation is prohibited, then by making this purchase you also certify that: (i) the purchase is for ultimate use in a state where its installation is not prohibited; or, (ii) the purchase is intended for use as replacement parts in existing equipment. 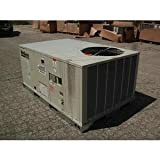 13 SEER single-package air conditioners and 13 SEER split system heat pumps and packaged heat pumps may not be installed in any state and are only sold for replacement parts. I acknowledge that I have read and accept the foregoing terms. 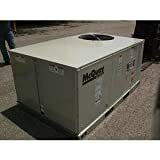 4 TON ROOFTOP GAS/ELECTRIC PACKAGE UNIT, VOLTS:460, HERTZ:60, PHASE:3, AIRFLOW:CONVERTIBLE, REFRIGERANT:R-410A, EFFICIENCY: 80%+, SEER: 13, HEATING INPUT BTU:135,000, HEATING OUTPUT BTU: 109,400, SUPPLY DIMS: 12-1/2"H X 19-1/2"W, RETURN DIMS: 19-1/2"H X 12-1/2"W, DIMS: 35"H X 75-3/4"W X 46-3/4"D, WEIGHT: 587LBS, MADE IN THE USA, IN MANUFACTURER PACKAGING. 2015 Federal Regional Standards for Heating and Cooling Products. 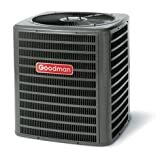 Due to new 2015 Department of Energy efficiency standards, 13 SEER split system air conditioners may only be installed in northern markets, and may not be installed in the following states: Oklahoma, Texas, Arkansas, Louisiana, Kentucky, Tennessee, Mississippi, Alabama, Georgia, Florida, South Carolina, North Carolina, Virginia, Maryland, District of Columbia, Hawaii, Delaware, California, Nevada, New Mexico and Arizona (collectively the "Restricted States"). By purchasing this product from Seller, you represent and warrant that this purchase is not being made for purposes of installation in a Restricted State, and that you will not install or cause this product to be installed in a restricted state. If any product you are purchasing is being shipped by us to a state where its' installation is prohibited, then by making this purchase you also certify that: (i) the purchase is for ultimate use in a state where its installation is not prohibited; or, (ii) the purchase is intended for use as replacement parts in existing equipment. 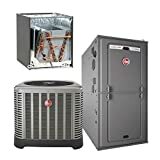 13 SEER single-package air conditioners and 13 SEER split system heat pumps and packaged heat pumps may not be installed in any state and are only sold for replacement parts. I acknowledge that I have read and accept the foregoing terms. 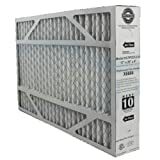 Lennox X6664 Healthy Climate PureAir PCO-12C MERV 10 replacement filter - 16 5/8" x 26" x 4" - Fits the smaller PCO-12C PureAir unit. The Lennox Healthy Climate PureAir replacement filter uses a Merv 10 pleated filter to capture particles down to 0.3 micron. In most home environments, this filter only needs to be replaced every 6 months. Actual Size: 16-5/8" x 26" x 4"
As a result of the new Department of Energy Regulations, this item cannot be sold in the following states: California, Nevada, Arizona, New Mexico, Texas, Oklahoma, Arkansas, Oklahoma, Louisiana, Mississippi, Alabama, Tennessee, Georgia, Florida, South Carolina, North Carolina, Virginia, Kentucky, and Maryland.